It is here. Xiaomi’s massive 16,000mAh Mi Power Bank has now been listed on Xiaomi Malaysia’s official website, and has a retail price that would really leave power-hungry users smacking their lips. 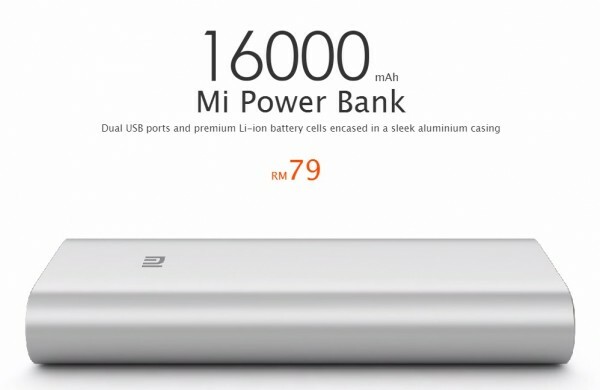 Announced in China just last month, the 16,000mAh Mi Power Bank is the largest capacity variant from Xiaomi, offering far more juice than the 10,400mAh model. 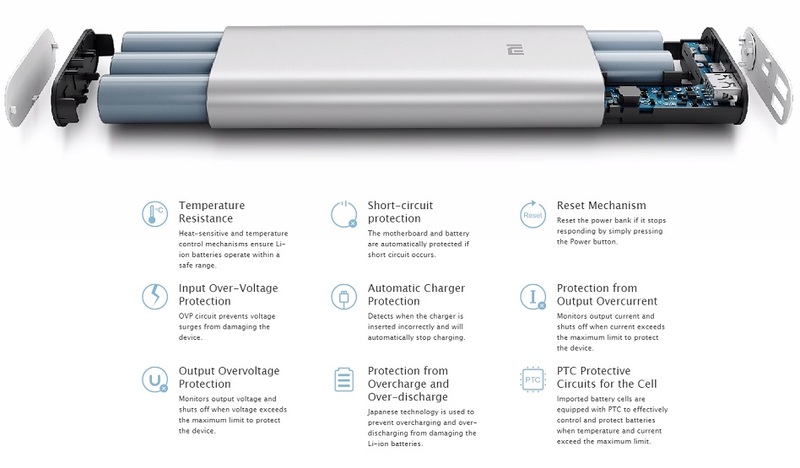 Featuring five battery cells from “reputable suppliers such as LG and Panasonic”, this high-capacity power bank also sports two USB outputs, allowing two devices to be charged simultaneously. When two devices are being charged, the maximum output is 3.6A, and drops to 2.1A when only one port is used. 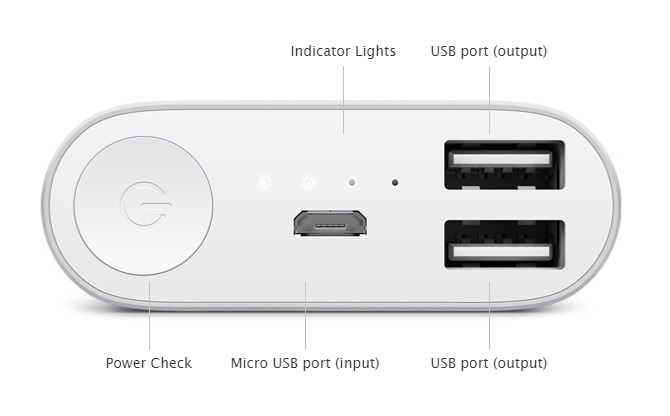 Nevertheless, this should still result in fast charging times when using one or both ports, and still protected by the Mi Power Bank’s 9-layer chipset protection. Naturally, with such a massive capacity, it will take some time to charge its inner batteries. Xiaomi’s product page states that this 350g power bank would require up to 9 hours to charge on a standard 2A plug, and 14 hours on the older 1A plug. 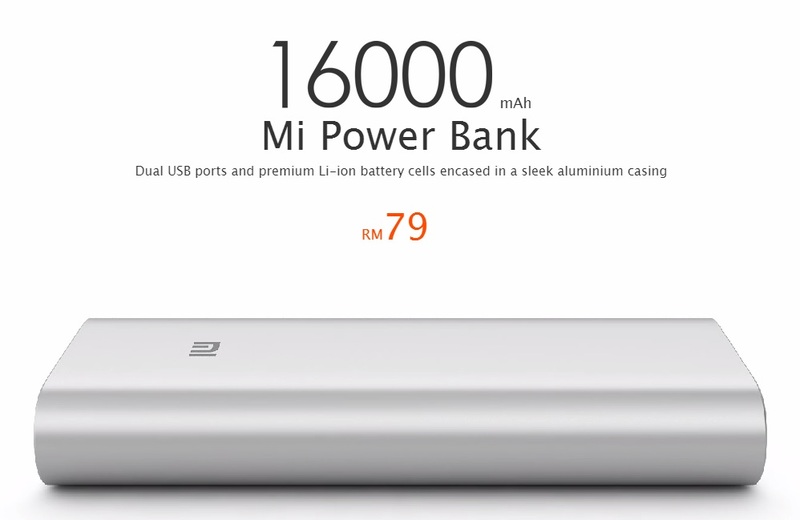 The 16,000mAh Mi Power Bank is one of several new accessories coming to Malaysia this month as part of Xiaomi’s “Christmas with Mi” campaign, which includes several interesting bundles for the new Redmi Note 4G. It will go on sale on 11 December and 16 December, and is priced at RM79 – pretty close to the 129 Yuan (about RM73) retail price in the Chinese market. For more information, check out the official product page here.